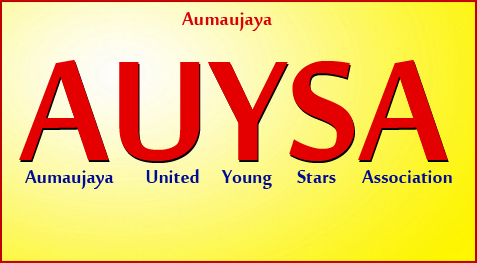 About WE AUYSA WE Aumaujaya United Young Stars Association (AUYSA) is a non-profit youth organization founded for the cultivation of courage, confidence, individuality, intelligence, and human values in the youth. AUYSA has been formed by Jaimahavibhoshri(Humanist, Philanthropist, expert in life skills & soft skills and mentor for CEO's of multinational companies) to help the youth lead healthy, happy, and successful life. Boys & Girls (11yrs - 33yrs) can become free members in AUYSA. Helping the youth to lead healthy, happy, and successful life. Life Skills, Soft Skills & Personality Development classes for the youth on 3rd Sunday of every month by Jaimahavibhoshri. Helping the poor students who excel in studies. Organising special programmes for students in the Educational Institutions. Conducting sports competitions & cultural activities for students. Promoting human values in the family, in the Educational Institutions, and in the society. Come! Join WE AUYSA! Get success in your chosen field. Reap the rewards of the peak of your life & stand as role-models to all. Come! Get yourself & live the life you like most. Come! Be a light unto yourself & share the light unto the world.